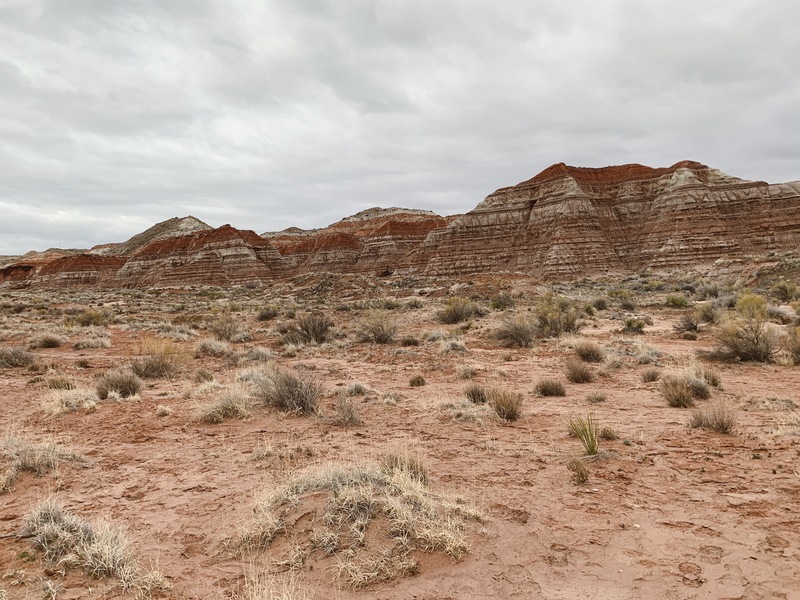 On our second day in Kanab, we actually drove an hour southeast to Page, Arizona. My body clock was way off because of daylight savings – Arizona doesn’t participate so instead of having the same timezone as Utah, it actually stayed an hour behind. So driving through the state lines made it really confusing for me and my phone. We initially drove into Page to have lunch at Big John’s Texas BBQ. However, after finding out that it was only fifteen minutes away from Horseshoe Bend, I convinced my parents to check out the latter first before eating. My parents were more than happy to stop by while my brothers were a whole different story. When we got there, only mom and I did the quick hike to see Horseshoe Bend AND IT DID NOT DISAPPOINT! Nature is absolutely beautiful, y’all. Remember when I went to see the Grand Canyon the first time and had tears in my eyes? The same thing happened here. It was such an extraordinary and oh wow. How is this place even real?! After seeing the Horseshoe Bend, we had a scrumptious lunch at Big John’s and it did not disappoint either. Their coleslaw and potato salad were amazing. Also, their ribs were out of this world!! 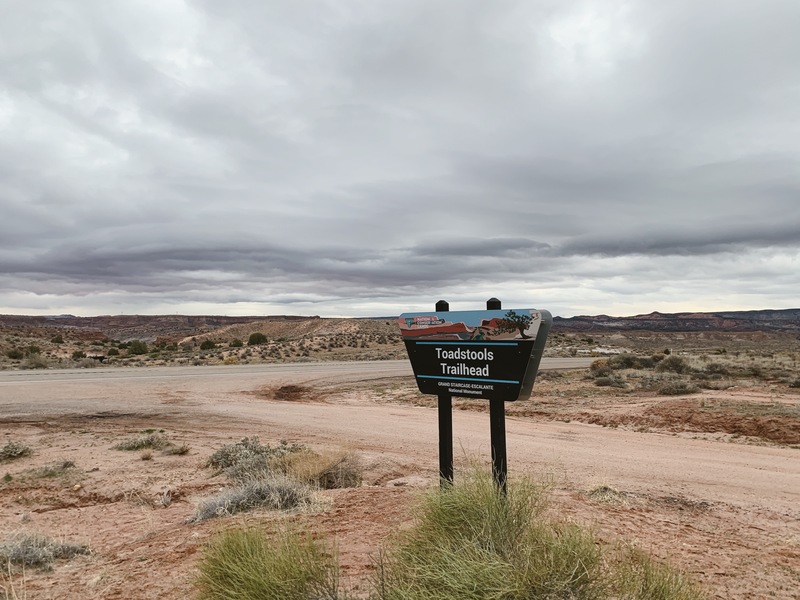 On our drive back to Kanab, we pulled over the side of the road to check out the Toadstool Hoodoos. My dad had seen sign for it and wanted to check it out! Toadstool Hoodoo is part of the Grand Staircase-Escalante National Monument. Unfortunately, by the time we arrived, the sun was setting and it was looking rather gloomy; we grabbed some photos and decided to hike to the hoodoos another time. The four days we spent at Kanab were too short! Hopefully there’s a next time. Before you go, check out the video I made! 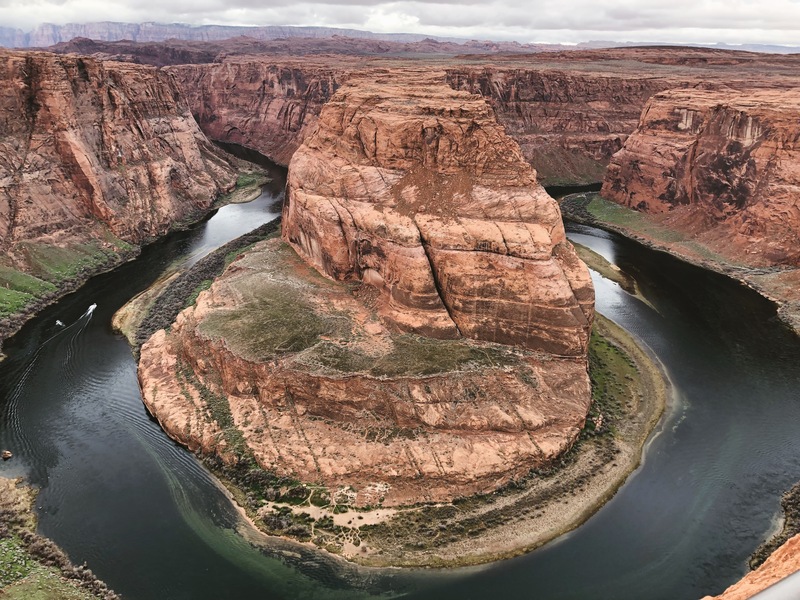 Wow, Horseshoe Bend looks breathtaking! I remember seeing the Grand Canyon for the first time as well and it was just the most beautiful thing ever and I’d love to go back there again since it’s been a while. I’ve only been to Phoenix for a work function but I’d love to see Arizona on a vacation. Oh my gosh it is gorgeous!! I have visited Grand Canyon 10 years ago and I would SO love to go back! The rocks are perfectly formed! This place looks incredible! I want to see the Horseshoe Bend, that is an epic photo you have. Page in Arizona seems like an amazing place to visit indeed. This place is breath-taking!!! I can understand why you had tears in your eyes, when nature is this beautiful, it is really touching. Thank you for sharing these wonderful photos. Wow… Horseshoe Bend is stunning. I’m not surprised you had tears in your eye! I would absolutely love to explore states like this. We don’t have anything like this in the UK. wow all i can say it’s wow! i have saved this post for later so i can fully catch up on the video! This Horseshoe Bend looks spectacular! I have been to Grand Canyon as well but I think I definitely got to head there too. It’s very amazing! Hey Eena! First off I just wanted to say this is my first time visiting your blog and I think it looks GORGEOUS and simple, very minimalistic! I love it so much 🙂 I didn’t know Arizona didn’t participate in DST, that’s something new that I learned today! Horseshoe Bend looks so amazing. I just love nature and the different unique forms or structures we find and how it varies from one place to another! The food also looks really good, it’s making my hungry. Thanks for sharing your Journey!! I love finding little gems while discovering something else I planned to do. At least the day sounded eventful and fun even though you didn’t see the toadstools. I really want to visit Kanab! And was that snow on the ground!? Oh wow, that photo from Horseshoe Bend is absolutely stunning. I can see why you would want to make the trip if you were going to be that close, I would too! 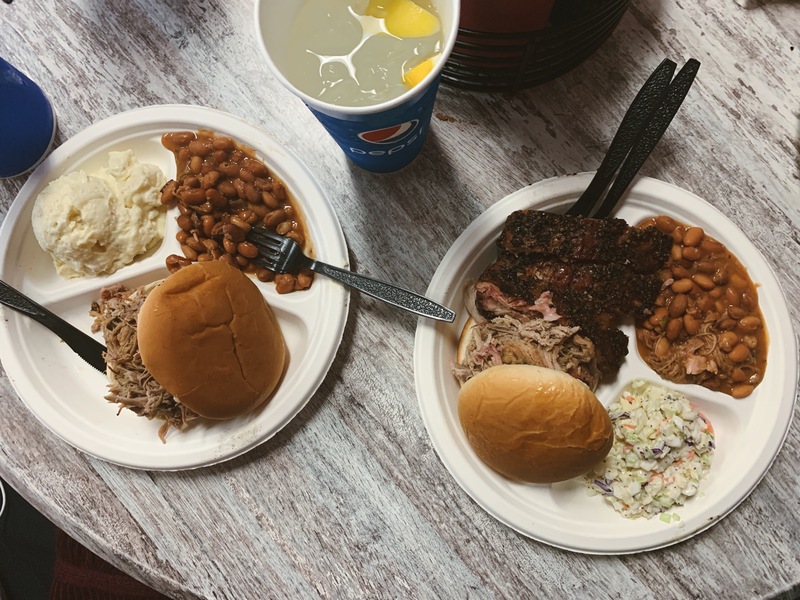 Can’t go wrong with BBQ. Horseshoe Bend looks spectacular. It’s really neat that you were able to see it. Oh my gosh this looks amazing & horseshoe bend is stunning! I’m actually so happy to hear that you get emotional over things like this too- I’m the exact same! What a gorgeous view- it looks like it was definitely worth the short hike! Wow! This looks pretty awesome. You must have had a great time! Wow, is all I have in store for this post. Loved the photos and looking like an amazing adventure! How amazing! I think we were visiting Arizona around the same time. We saw the sign for Page, but didn’t realize that we should’ve stopped. Next time, for sure! Thanks for sharing, and great pics. Wow, what an awesome trip. I didn’t realize that Arizona doesn’t participate in daylight savings time. I like Horseshoe Bend and Big John’s Texas BBQ along with Toadstool Hoodoos. The pictures of the places you visit are always amazing. You got an amazing shot of Horseshoe Bend! I remember my friend went and her picture did not come out like what Google photos showed😂She was so disappointed! This is just giving me so much wanderlust and rekindling old memories. I haven’t been to Horseshoe Bend, but it’s on my list. 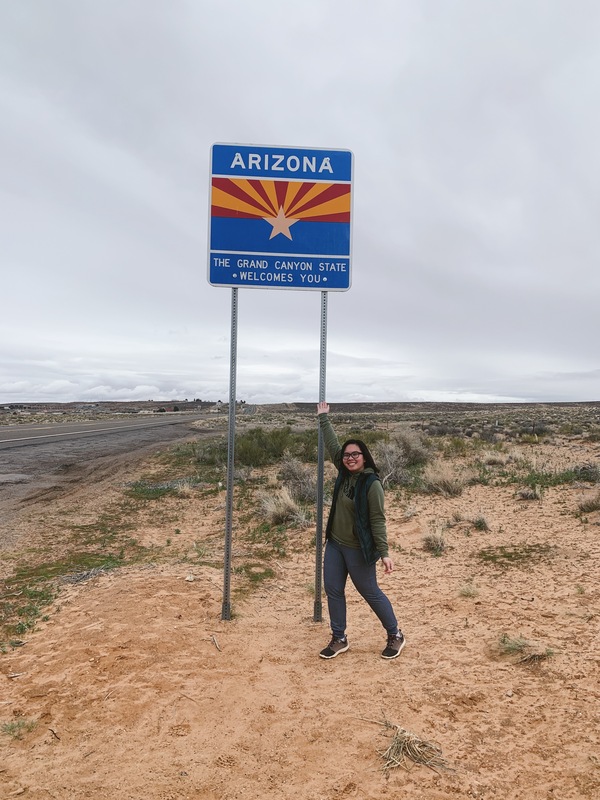 I did a roadtrip from Vegas to Hoover Dam (pretty sure we had time issues with our phones somewhere on that journey) to Arizona (where we were based) then went to Monument Valley and the Grand Canyon. Both were utterly exceptional and I wish I had more time at each site. We rushed through it sadly. I still remember being taken aback with the Grand Canyon. It is so beautiful, had it not been so cold I probably would have shed a tear too. Wow, good job on convincing them because the Horseshoe Bend looks amazing! I’ve always wanted to visit there. Great post! Wow Horseshoe Bend looks so beautiful! I havent thought about going to Phoenix, but id to go sometime. I am watching your video right now, and I love it so far. Great job! The second picture is absolutely amazing! It looks divine, unreal really. Hope you had a great trip! Terrific story – there are so many amazing laces in our country to explore, but it’s hard to top the natural beauty of Arizona! O my the horseshoe bend is gorgeous!! We saw the Grand Canyon when I was younger and I wanted to cry at how magnificent it is, really beautiful! Wonderful post! Amazing pics too. I’m down in El Paso and shortly going to visit family in Arizona and will be checking Page for sure! What an amazing place and loved the photos. True talk, you make me want to take a trip out to Arizona! Oh man, traveling during daylight savings can screw you up. The view from up top looks amazing!!! Even more that you had really nice weather going on. Mmm, your BBQ looks DELICIOUS!!! You know how to eat good, girl!! I am glad you had a great time out there :)! Horseshoe Bend looks breathtaking! I had tears in my eyes too the first I visited the Grand Canyon. It’s amazing just how beautiful and magnificent nature is. I’m glad you had a good time on your mini trip! I’m amazed that not all the states do daylight saving!! It hadn’t occurred to me ever that that was even a thing! How did your phone know what to do?! XD Horseshoe bend look’s incredible, I’m sure I would have welled up too. Well done for getting the family to stop! I’ve been loving all your pics from this trip on Insta, hopefully I will go one day! I would like to visit thata place. It’s beautiful! Love the photos and video. It made me miss Arizona so much!